It’s been a little more than a year since the Tax Cuts and Jobs Act of 2017 was passed by Congress, and people are still figuring out how the tax code changes will affect them. As a professional real estate agency in Marion County, we work with homebuyers who want to understand the tax implications of their new home purchase. Will some or all of the costs associated with buying and maintaining the home be tax deductible? Showcase Property’s REALTORS® will always advise you to confirm your deduction eligibility with your tax professional. However, we also love to share the local expertise we’ve acquired from years in the industry. 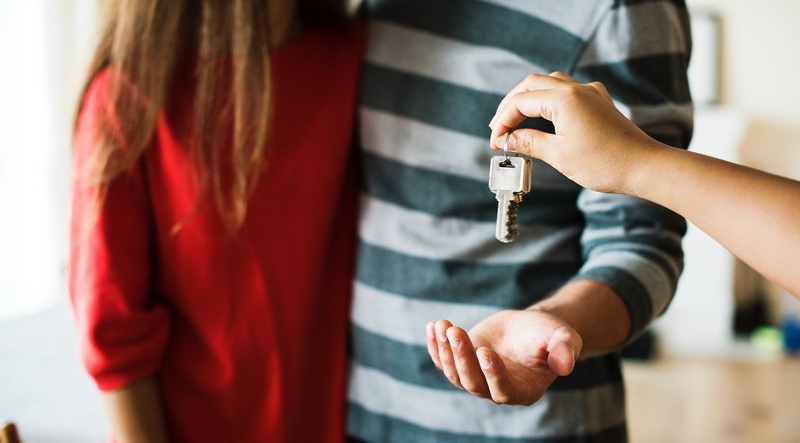 We created this guide to closing and home ownership costs to help you understand the expenses you’ll be taking on when you buy a home, as well as their potential to become tax write-offs. This is the most important thing to keep in mind: the TCJ Act raised the standard deduction to $12,000 for single taxpayers and $24,000 for married couples filing jointly. So, while many of the same costs are still eligible for deductions, you may no longer wish to itemize your deductions—only if they add up to more than the standard for your filing status. Experienced homebuyers are familiar with the concept of closing costs– the one-time fees and real estate taxes you must pay when you close on your house and sign the mortgage papers. First-time buyers may be confused about what, exactly, they’re paying for in closing costs. Here’s a breakdown of the most common closing costs. Your lender will give you a worksheet of estimated closing costs beforehand, so you’ll know what to expect. Mortgage Application fees: You’ll have to reimburse your mortgage lender for the cost of obtaining a credit report and getting an appraisal on your new home. You’ll usually also pay a loan origination fee of about one percent of the total loan amount. Real estate taxes: You may have to reimburse the seller for some or all of the property taxes they’ve prepaid. Mortgage interest: Depending on what time of the month you close on your new home, you’ll have to prepay a certain amount of interest to cover the delay between closing and your first mortgage payment. Loan discount fees: You can reduce the interest rate on your mortgage by paying for a certain number of points up-front. Title insurance: Covers the cost of the title search, insurance, and related tasks. Escrow: You may have to fund the escrow account associated with your mortgage in order to cover future property insurance premiums and real estate tax payments. Down Payment: This is the portion of the home price you’ve agreed to pay upfront; it is also due at closing. Out of this list, only three are tax deductible: real estate taxes, mortgage interest, and loan origination fees. But again, you would only deduct them on your taxes if all of your itemized deductions total more than the standard one. Homeowners are permitted to deduct the interest they paid on their mortgage that year. There is a cap to the amount of mortgage debt you can write off interest from. For loans originated before December 17, 2017, the cap is $1 million. Mortgages taken out after that date have a cap of $750,000 for tax-deductible interest. You can also write off interest payments on a home equity loan or second mortgage, with two caveats: the loan must be used to make substantial improvements to your home, and the loan principal plus your primary mortgage still cannot exceed the cap on interest deduction. The cap on state and local tax deduction has been lowered to $10,000. That may not seem like much in higher-tax states like New York and New Jersey. Luckily, Florida is a low-tax state. There is no personal income tax here, so the only thing you would potentially deduct is your local real estate tax bill. In Marion County, property taxes are calculated by local taxing authorities such as the Board of County Commissioners, City of Ocala, Marion County School Board, etc. The amount you pay depends on where you live, your home’s property value, and any exemptions you qualify for. If you experience property damage in a federally declared disaster zone, you can deduct the cost of repairs on your taxes. But while Florida is associated with hurricanes, the North Central part of the state typically doesn’t experience extreme weather. This is one of the few write-offs you don’t have to itemize. If you’re self-employed, you can count it on top of the standard deduction. Talk to your tax professional about your eligibility for the home office deduction. Requirements include a maximum space of 300 square feet, which you divide from your home’s total square footage to get your deduction rate. For example, if your house is 3,000 square feet and your office space is 300, you can deduct 10 percent of your related home expenses (insurance premiums, taxes, and mortgage interest). So, if you can no longer itemize all of these costs due to the increase in the standard deduction, you may still be able to write off a portion of them if you’re self-employed. You can also deduct equipment and expenses—such as furniture and printer paper—associated with maintaining your home office. When it’s time to buy or sell your home in Marion, Citrus, Levy, or Alachua County, you’ll want to talk to one of our experienced REALTORS®. At Showcase Properties, we hand-select our team of talented agents based on their real estate knowledge, negotiating skills, integrity, and dedication to client satisfaction. We can help you figure out the tax implications of your home purchase or sale, and even help you time the closing to reduce the amount of closing costs you have to pay. Give us a call today to schedule a free consultation with one of our agents.